Allahabad High Court dismissed a PIL against forthcoming sesquicentennial celebrations. The Division Bench said that it is a ceremony of keeping in remembrance the achievements in the field of law and dispensation of justice in the past 150 years. Bombay High Court held that possessing/transporting Gutka and Pan Masala articles would not attract offence under any provisions of the Indian Penal Code. The Division Bench quashing the complaint against 21 Gutka/Pan Masala traders, observed that Police cannot prosecute them. The High Court on Tuesday sought a reply from the Centre and the Election Commission of India on a PIL alleging violation of the Code of Conduct by Prime Minister NarendraModi and other BJP MPs during the last Lok Sabha elections. The replies have been demanded within four weeks, by the Bench headed by Justice V.M. Kanade. A Division Bench of Bombay High Court recently directed an applicant to donate a sum of Rs. 10 lakh to an NGO, in order to get the criminal charges against him quashed. The Gujarat High Court held that when a complaint under Section 138 Negotiable Instruments Act, does not name the Partnership firm as accused, but only the partners, Section 319 of the Code of Criminal Procedure cannot be invoked to implead the Partnership firm as the accused, to save such a serious infirmity in the complaint. Madras High Court clarified that Child marriages do not automatically become void. The Division Bench made this observation while hearing an appeal against a Family court order rejecting a divorce petition, holding that it was a child marriage and hence void. Madras High Court has directed all the Motor Vehicle Claims Tribunals to issue ‘Crossed Account Payee’ cheques favouring only the claimant victims and not in the name of anyone else. Justice Vaidyanathan said that appropriate action will be initiated against the erring officials, if any violation is brought to its notice in future. The High Court asked a school to allow one of its student, which it branded him as ‘mentally unfit”, to appear in Class X theory and practical examination. Justice Pushpa Sathyanarayana asked the Education department to permit him to sit for practical examinations, without insisting on the formalities. 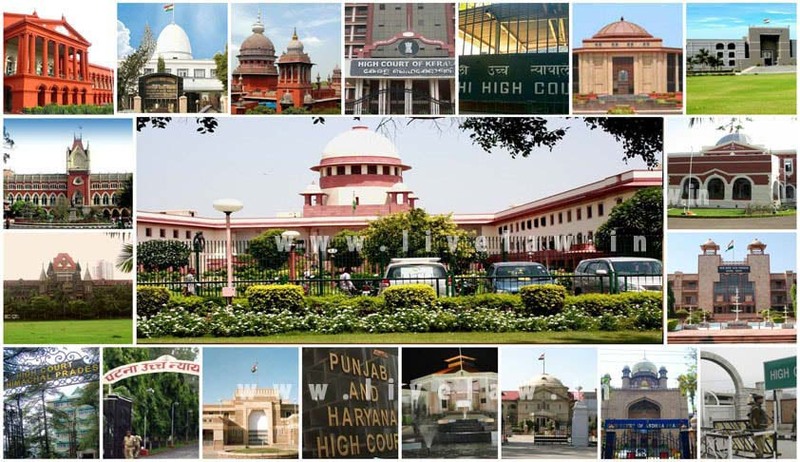 The High Court made singing of national anthem mandatory for all the schools in the state, including the private schools. This order was passed by the First Bench in a PIL filed by an Ex-serviceman who approached this Court aggrieved by the non-singing of the National Anthem in various Schools in Tamil Nadu.